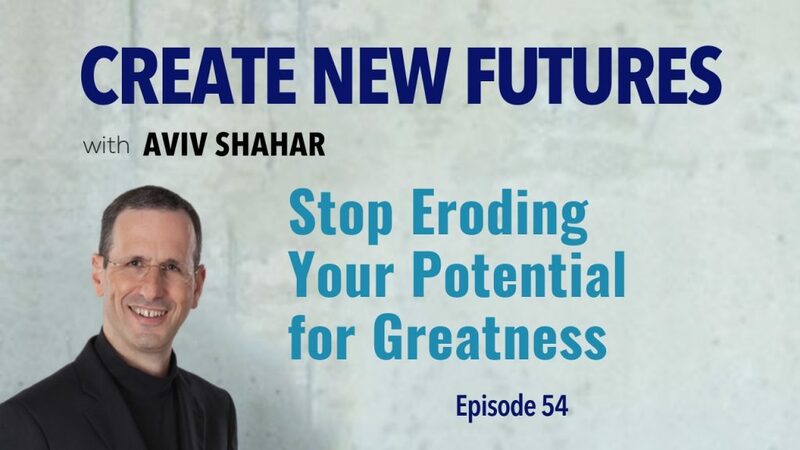 In this episode, Aviv discusses the concept of greatness and, more specifically, how to avoid eroding the potential for greatness. In order to accomplish this, Aviv poses three questions to define what greatness is, how it can be eroded and what actions can prevent that outcome. Aviv identifies the three behaviors that erode the potential for greatness and provides practical antidotes to help avoid these. Aviv also shares the three octaves that converge in order to manifest greatness: the person, the platform and the purpose. When these three factors resonate with one another and produce a steady flow, the conditions for greatness are in place. Greatness requires focus, consistency, devotion to purpose, care and forbearance. Greatness can be found in sports teams, Broadway casts, organizational and professional teams, and a myriad of other areas. In these examples, a cohesive effort brings everyone together in a sense of unity and a shared purpose that allows individuals to transcend their egos and galvanizes them towards achieving that goal. Finally, Aviv challenges leaders to unlock the potential for greatness by celebrating the diversity of talent and by facilitating organizational alignment. [04:16] – What is greatness? Share the podcast using the social links below.